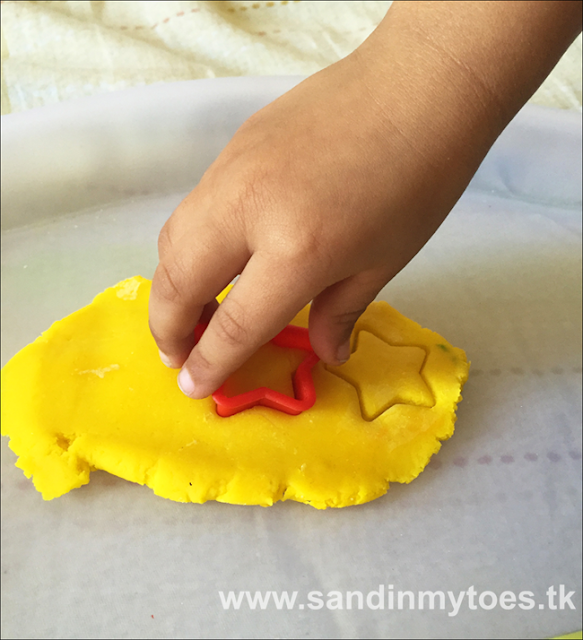 Whenever I make a batch of play dough, I try to fit in activities for learning, and using it in other creative ways. 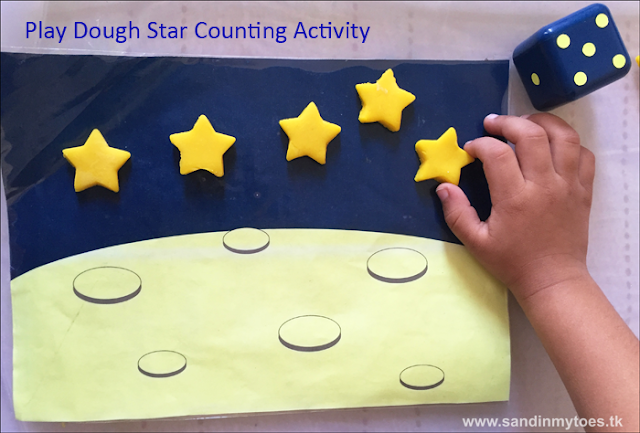 For some counting practice, I thought it would be fun to use our Alien Planet Play Dough mat to count stars! The first thing we needed was dice. 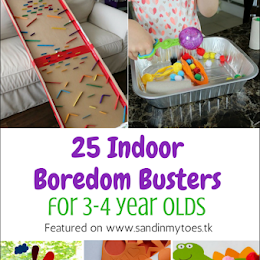 They are a good tool for playing games and learning to count, especially for preschoolers. 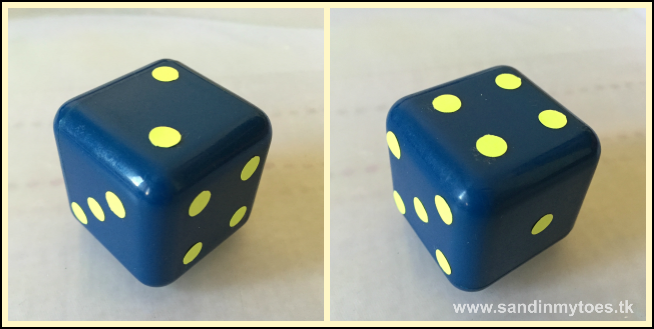 We didn't have a large dice, so we made one! 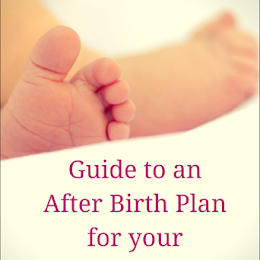 This was a mini project on its own. We used a cube from our shape sorter toy. For the dots, we used a hole punch to cut though sticker paper. 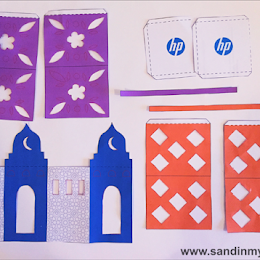 You can also use old stickers, or Post-It notes. For the counting activity, we cut out six star shapes from yellow play dough. 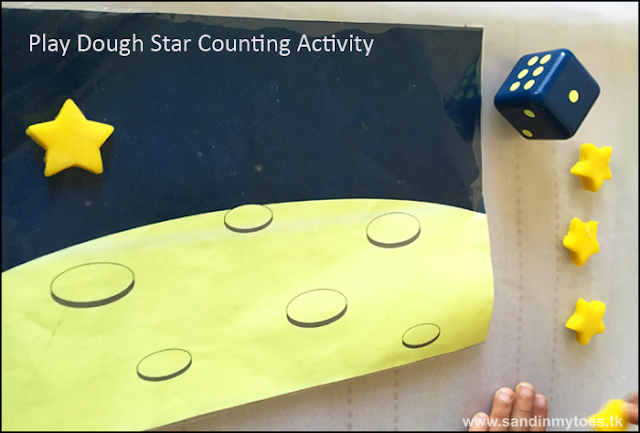 Then, Little Dude rolled the dice, counted the dots, and placed the right number of stars on the play dough mat (you can find the free printable here). 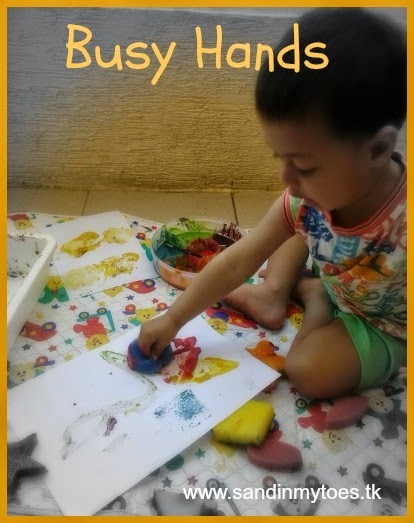 Instead of the play dough mat, you can also use a blue card or tray. He then took away the stars, and repeated the activity. I also used this opportunity to teach him some basics of addition and subtraction. So instead of taking away the stars, we rolled the dice again, and tried to count how many stars we needed to add or remove. 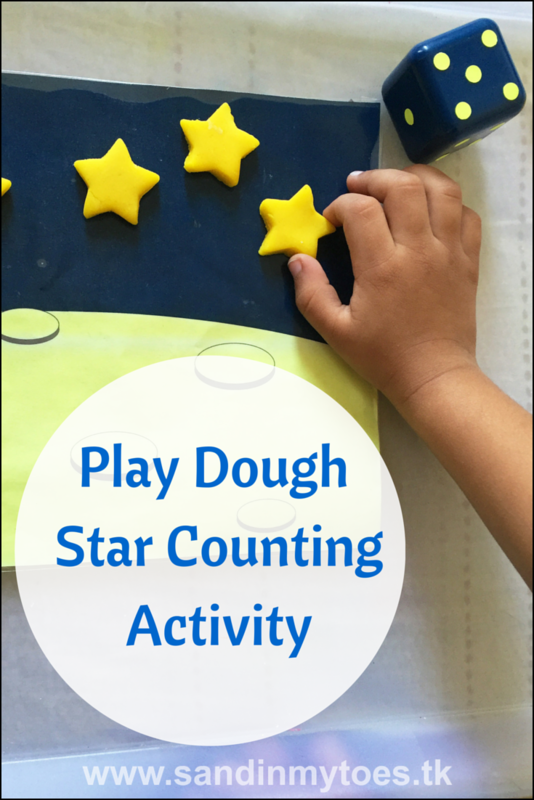 Depending on your child's age, you could adapt the activity to teach counting and basic math concepts.